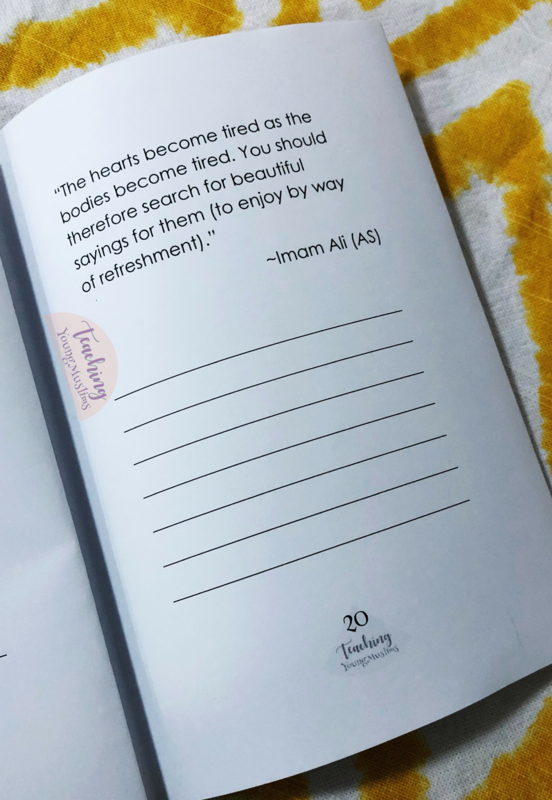 As we discuss Imam Ali (AS), we can learn so much from his life and his words. His quotes in Nahjul Balagha are so powerful and important for us to reflect on. This booklet has some of my personal favorite quotes from Nahjul Balagha, with space below them to reflect. To download this booklet, go to the Teaching Young Muslims Resource Library! Enter your name and email address here to receive the password to access these downloads. Already signed up? Enter the library HERE. 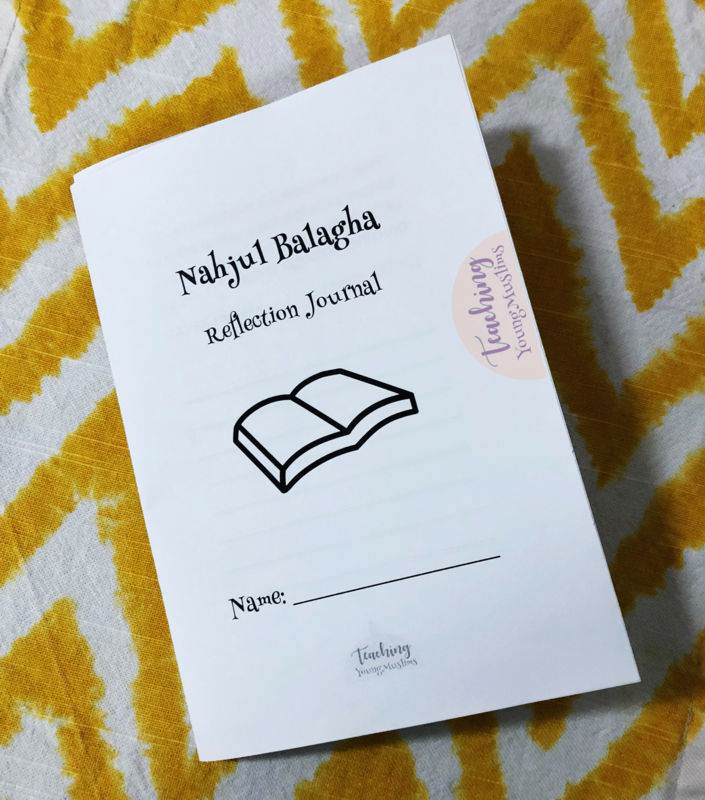 Once you enter the library, click on “Ramadhan and Eid” and scroll down to “Reflections on Nahjul Balagha.” (Make sure you choose the option to print BOOKLET.) 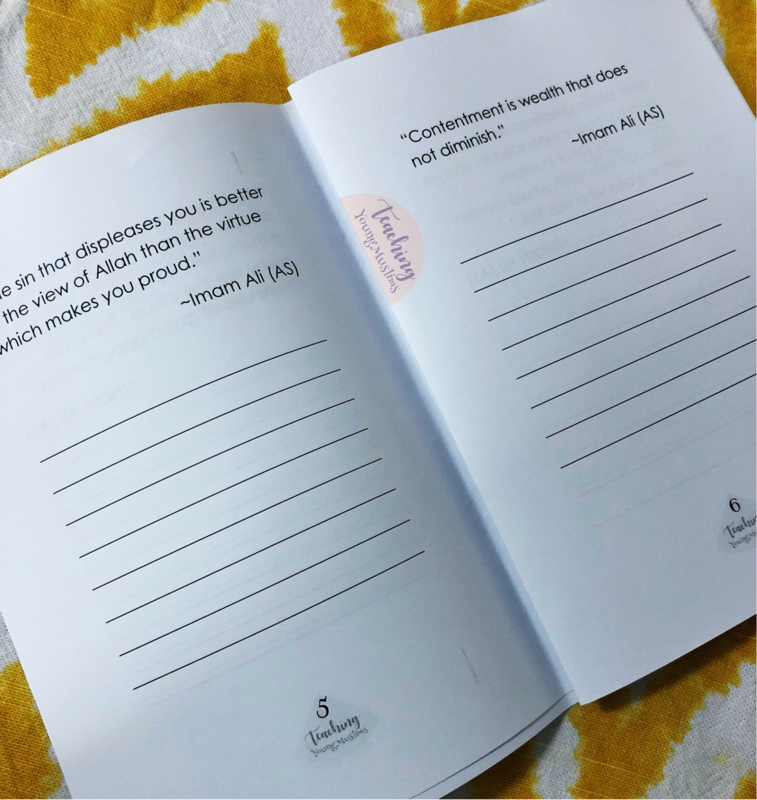 There are a few extra empty pages at the end of the journal, that can be used to write down some more quotes to reflect on, or as extra space to continue writing. Did you like this post? Did you love this post? Let me know below – leave a comment!